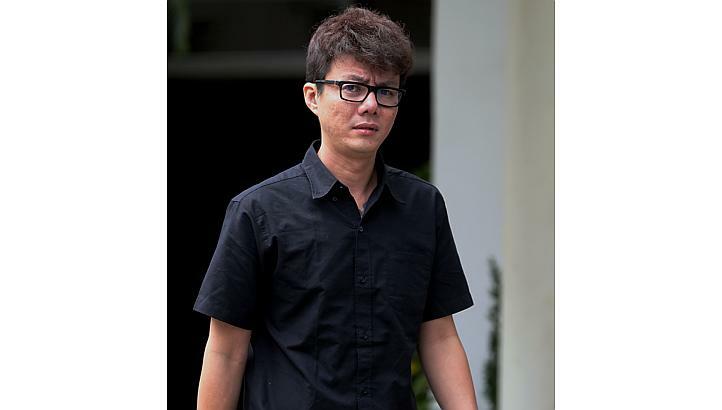 SINGAPORE: Loverat,Loo Wee Kiat, 36, was sentenced to eight weeks in jail after he was found guilty of beating his he thought she was cheating on him, when he was the one having the affair. He had punched Ms Tan Mei Ying repeatedly in the face and stopped only when he noticed her bleeding from the mouth. Ms Tan, 33, was later diagnosed in the hospital with fractures on both sides of her jaw, and a cut inside her mouth. The court heard that the assault took place on Jan 7 last year, at their home in West Coast Road – about a week after Ms Tan had moved out because of Loo’s infidelity. Just after midnight, Ms Tan returned to the flat while a female friend waited at the carpark downstairs. The couple started quarrelling, and Ms Tan tried to leave. But Loo, who had earlier drunk a few glasses of beer, would not allow her to, and started to punch her. Their children woke up because of the argument and began crying when they saw their mother bleeding. District Judge Kamala Ponnampalam granted Loo’s request to celebrate Chinese New year first before he serves the prison sentence. When interviewed, a man, 45, who did not want to be identified, said that he had no comment. “You want me to get charged for contempt of court is it?” he asked.